If you have been charged with arson, by the time you are arrested, it is likely that the government has conducted an extensive investigation. Often, in cases of arson, the State Fire Marshall is the investigating agency that makes a determination of whether a fire was an accident or was a crime. The State will have expert witnesses. Florida Statute 806.01 says that if you are convicted of first degree arson, you can be sentenced to up to 30 years in prison. Arson can be simply defined as the willful and unlawful damaging of some kind of "structure" by fire or explosion. It could be any structure, including a private residence (like a house or apartment), a commercial building (like a school, hospital, business, store, or an office), or even a tent. It could also be a vehicle or a boat. Finally, while often times the property of another, under certain circumstances (like while committing a felony), it could even be your own property. The State can seek to have someone serve up to 15 years in prison, if they charge second degree arson where someone is accused of setting fire to someone else's property. If you are charged with arson, it is highly probable that the State will seek a hefty prison sentence against you. Arson is considered a violent crime and the State aggressively prosecutes arson cases. You need a lawyer who has experience with not only the trial portion of an arson case, but one who understands arson investigations. Criminal Defense attorney Jack Kaleita has years of experience dealing with arson cases. He can give you the attention you need when facing these serious charges! 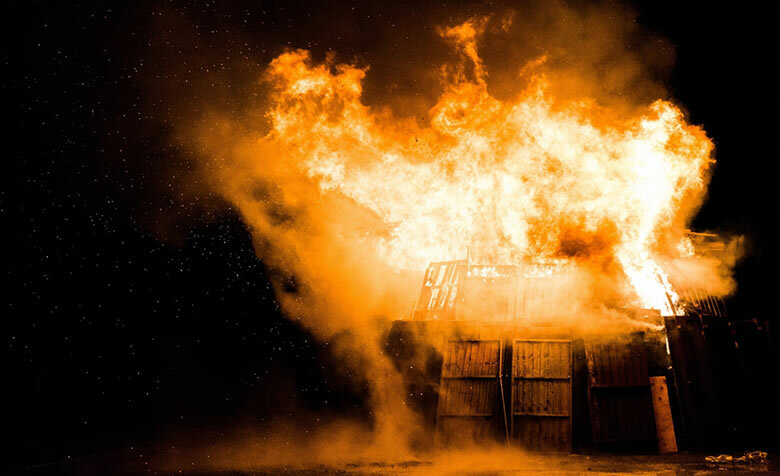 If you or someone you care about is facing an accusation of arson, call criminal defense Attorney Jack Kaleita today for a free consultation! We are available at (866) 422-7934 or (407) 831-7800. You may also send us an email at jack@jackklaw.com. Our law firm is committed to protecting your rights. We are conveniently located just off Interstate 4, in Longwood, minutes away from downtown Orlando, and easily accessible from every direction.